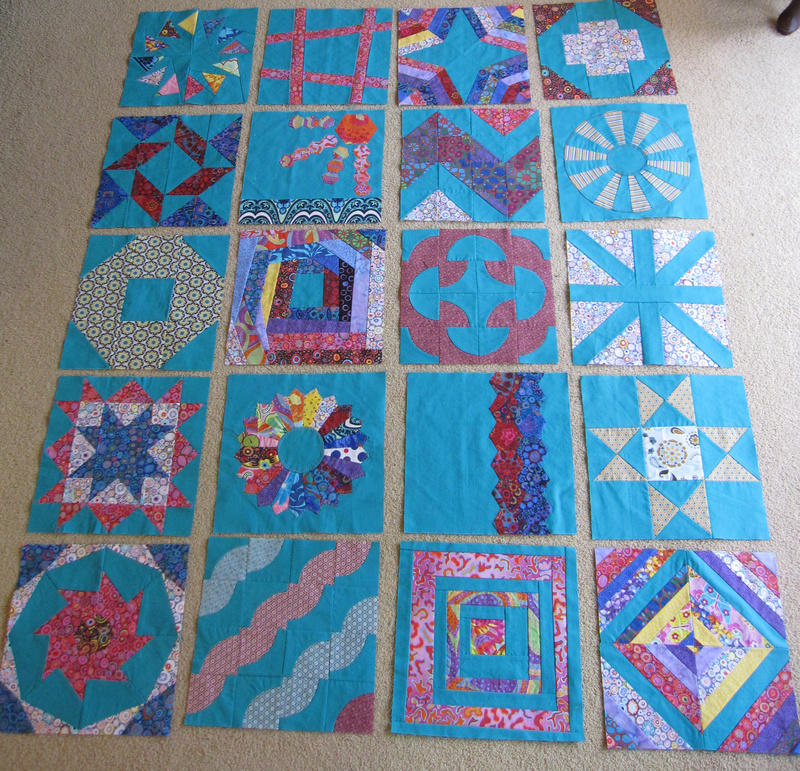 For almost a whole year, I’ve been sewing two new quilt blocks every month (more or less). 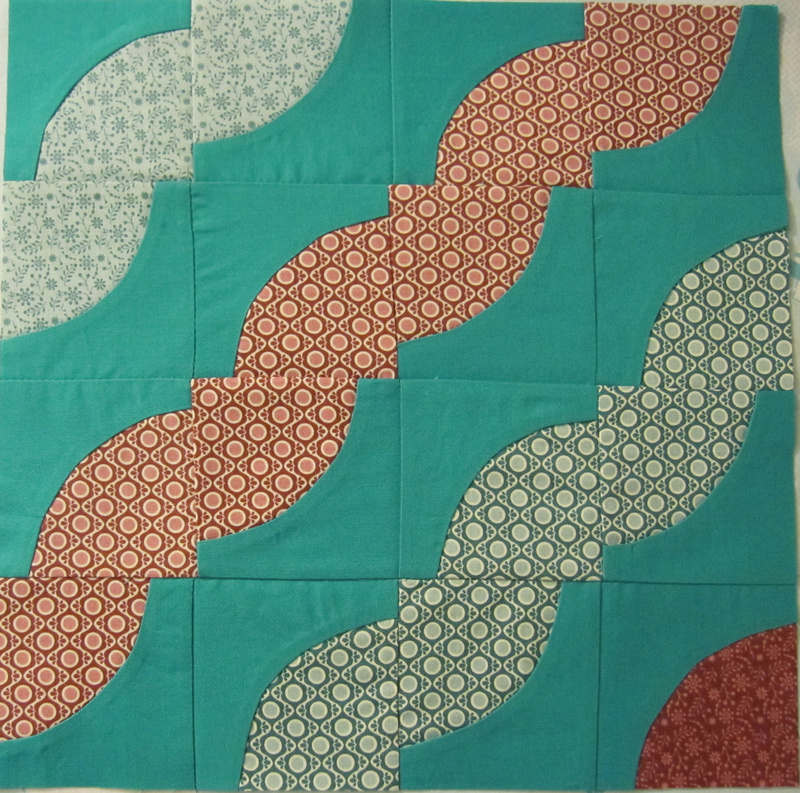 I began Craftsy’s Block of the Month quilting class last winter. Of course I blogged about it! Last February, I wrote about my new quilting project in the post “Like Mom and Dad“. Many of you know my mom was an avid quilter. When she was alive, I didn’t have much interest in helping her quilt. I helped her pick out fabric a couple of times, but she did all the work; the cutting, the sewing, the quilting. She made crib quilts for Lily and Emmy; they still use them all the time. Grandma’s quilts help the girls remember Grandma. 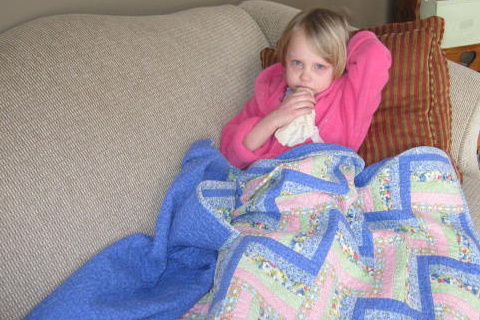 Grandma’s quilt comforted Lily after she fell and hurt her mouth. 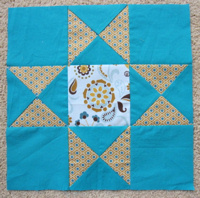 When I stumbled on the Craftsy Block of the Month class, I decided to try quilting on my own. My very first block was a slashed block, the Asterisk. 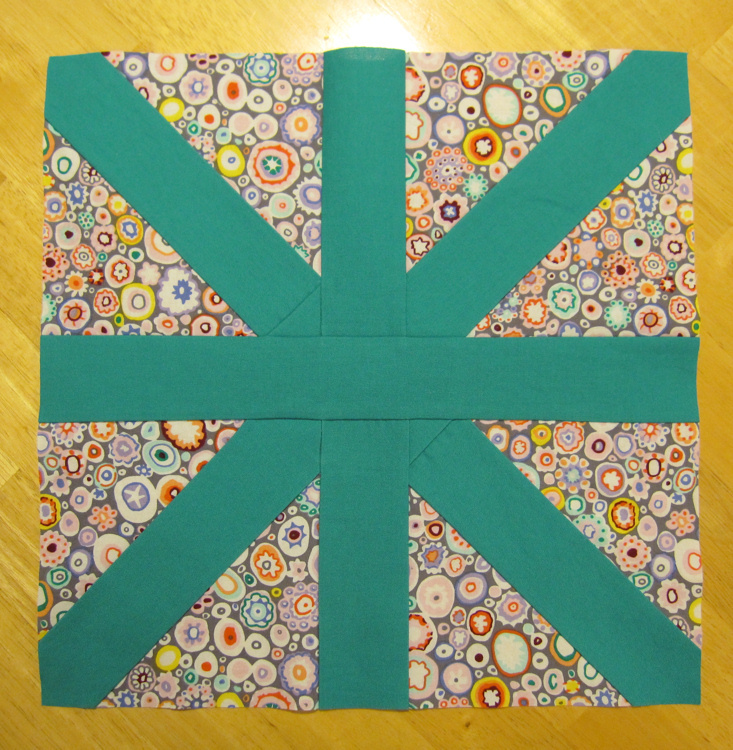 This block was fairly easy for me, a novice quilter, to complete. It gave me the courage to keep on going! And when I read class descriptions like “English Paper Piecing”, “Dresden Plates” and “Curved Piecing”, I needed a little courage. I was afraid I wasn’t going to be able to sew any of those quilt blocks! Not only am I a beginner at quilting, I also don’t sew very much. But I kept at it, because every time I chose the fabric for my block and cut the pieces, every time I assembled the block like a puzzle and stitched it all together, I understood why my mom loved quilting so much. 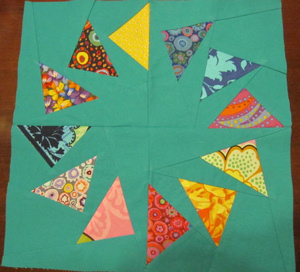 The Ohio Star Block was one of my favorites to make; learning how to make quarter square triangles was so much fun! The curved pieced blocks were very challenging, but not as hard to make as I thought they would be. Visually, I just fell in love with the Circle of Geese. It is a paper pieced block that was very time consuming but also fun to make. And so now, I have twenty completed blocks. Now comes the hard part: finishing the quilt! And finishing this quilt–adding a border, quilting, and binding it– is the only thing on my bucket list this winter! I’m going to do it–just wait and see! I have always wanted to make a quilt. I am sure they will turn out great. I hope so! I'll be sure to post my progress! Those are so pretty!!! I wish I could do that. Thanks! I just hope I can finish my quilt! I really like the Drunkard's Path one. And that has nothing to do with the name. hehe. That quilt is going to look awesome when you finish it — can't wait to see the final product! I love quilts, but can't sew to save my life. Fortunately, my mother-in-law is a quilter and loves to make them for our family. There's nothing like a hand-made quilt! Oh, it's easier than it looks! Trust me! Thank you! Hopefully by December I'll have a new quilt! Do you sew them by hand or do you use a machine? Most of them are sewn by machine, but the hexi stripe block ( the third block in the fourth row down) is hand sewn. I decided I like sewing by machine more, but hand-sewn does look better! I'm so proud of you for finishing all those different squares! I know Mom would be, too. I'm looking forward to seeing the finished product! Thank you! I'm pretty proud of myself. 😉 I will probably work on it when you're here!